We were saddened to her that Mrs Pauline Colebrooke, the founder of the branch, had recently passed away. She formed the branch in 1982 and we had just celebrated our 35th Anniversary. Pauline retired to Somerset in 1997 and took with her many cats that could not be homed for various reasons. 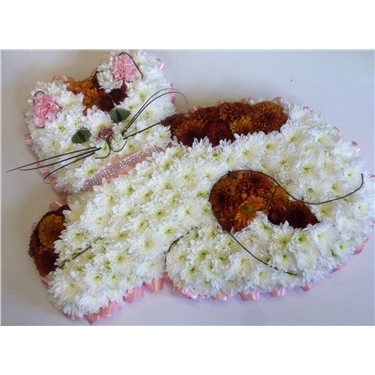 The Branch sent this flora tribute which was made and designed by FlowerMagic in Somerset as a tribute to a great cat lover. Our condolences go to Pauline's family.